A lifestyle blog is all about writing, taking pictures and videoing what you know. That is maybe the neatest thing, that you are just really doing what you do anyways and then documenting it. Here are my top tips and ideas for starting your lifestyle blog. I have started doing a lifestyle blog over at PaperlyPeople.com. It is about planners and scheduling and productivity. I would have done all of that here on Marketing Artfully, but that is not altogether what this website is about and additionally I want to do some things that are a little more aggressive marketing-wise and I would rather not mess up this site with Google. Additionally, I anticipate doing more with social media to drive traffic rather than SEO for a while at least until it gets ground. I am doing some very deliberate things to grow my social medias over there (including almost ignoring Facebook), but that is a post for another day! 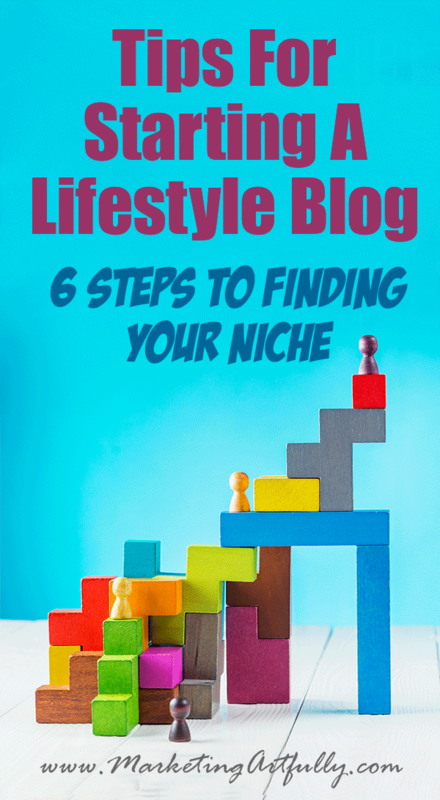 So let’s get started with choosing your niche for lifestyle blogging. First off you want to pick something that you like anyways. I like a bunch of things including Erin Condren Planners, productivity and goal setting and entrepreneurship. I started Paperly People with that in mind. That it would more of an affiliate site where I sold other people’s products moreso than my own. Then I started thinking, hmmmm what about if I made a planner for me using all my forms. The notebook that I had been using was running out anyways and figured, “what the heck”. After I made my own notebook planner using the ARC notebook system from Staples, my creativity and excitement took off. I KNEW what my lifestyle blog was going to be about! Productivity for Creative Entrepreneurs! Now, if I had sat around wondering what my site was going to be about and just researching, I could never have gotten this far this fast. It was a little bit of trial and error and some dumb luck that got me to this point! Each of these topics is something that a certain segment of the population are interested in! Now, this post is about choosing a topic YOU love too instead of just building a site for certain customer demographic. In programming there is term called “granular”. This means getting down to the nitty gritty which is what I am dong with my niche. First off I chose paper so that I could include things like planners, organizing your office, notebooks and old ads which are all paper things that I love. Next I flailed around a little bit and came upon making forms which I do anyways! 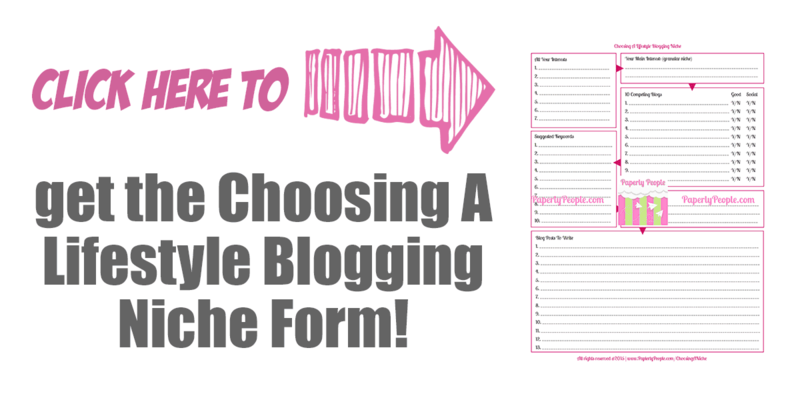 Just writing this post I am itching to make a worksheet that will walk you through choosing a niche and figuring out keywords…I just might have to make one. Then I thought about how I always joke with my coaching clients saying that I call it marketing but it is really goal setting and time management. My niche had been on the tip of my tongue all along and I just never listened to myself! If you pick a niche that is broad like fashion, you have very little chance of making a dent in the online world. BUT if you decide to do a blog on blue jeans, then you have something that is a little more manageable and conquerable. At this stage I would pick a few different granular niches that you could do and now comes the research into how hard they will be to succeed at! This has A LOT of competition…178,000,000 competing results to be exact! Getting a tiny bit better, “only” 150,000,000 competing sites with productivity forms. Adding the quotes makes Google search only those words in that order for results and holy cow…this got A LOT better really fast! Only 2,910 competing sites. 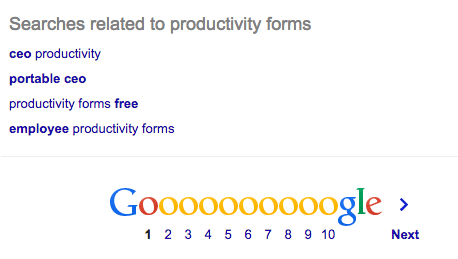 And finally “printable productivity forms” with only 8 results. I am guaranteed a first page listing…HA! THAT is how fast you can go from an insurmountable obstacle to a first page listing for your target niche word! Not too exciting, but what are you going to do? I will just need to dig in a little deeper! 5. What Will You Write About? Finally you need to make sure that the keyword you found is actually a good fit for you. If you can’t think of at least a dozen things you can write about, you are going to have a hard time dominating that keyword. Make a list of at least 12 (or more) blog titles that you can start writing! The last thing to remember is that this is a marathon and not a sprint. Except on that final keyword, my new little site will probably not come out of the gate on page one. There are many factors that determine rankings but time is a big one. An old site like this one can rank quickly for keyword terms because it is trusted by Google. A new one like my Paperly People is going to have to work harder to get good rankings! 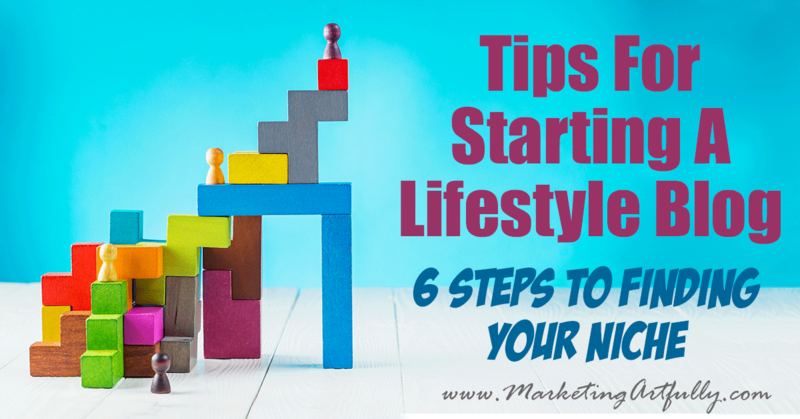 The neat thing about doing your niche marketing this way is that you will not only rank for the granular keyword that you chose, but you will also start to rank for the ones above it. At the start this might be on page 98, but as your site has more and more content about your selected keyword, it will continue to increase in rankings for all the connected keywords and variations. So there you have it! My lifestyle blogging ideas for choosing a niche. As you can see, there is a logical progression from a big, giant, hard to rank for keyword to something smaller that you can dominate easily!